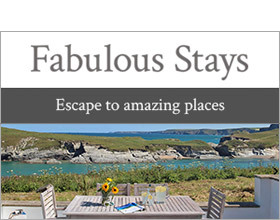 Holiday home located within the grounds of a hotel, in the Porth village area of Cornwall. Ideal for families and couples, Beachcombers has a lot to offer for everyone with beautiful walks and beaches in situ. After a busy day walking around the coastline, guests won’t have to go far to rest, as the property’s two bedrooms are located on the ground floor. The master bedroom features a king-size bed and en-suite bathroom. The other bedroom features three single beds. Also on the ground floor is the bathroom. Upstairs is the open-plan living area, which features a modern kitchen, dining and seating area. An outstanding feature of the cottage is the balcony, offering views of the local area. It makes an ideal spot for a night cap with a loved one. There are two beaches close to property, Lusty Gaze and Porth and they are the ideal place for an early morning swim. Newquay is renowned for its beaches, and is the surfing capital of the country. While for a great family day out, why not check out the town’s aquarium and or zoo. Golfers will also be spoilt for choice with some of the fine courses in the area. Cornwall really does have a lot of attractions, and with so much to see Beachcombers is the ideal spot to plan your family’s holiday from. Note: On-site facilities closed over Christmas, New Year and January.